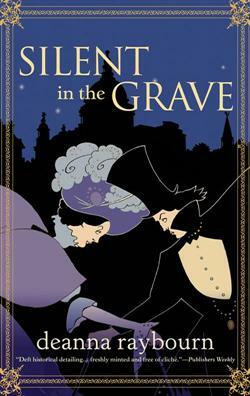 Last week I finished reading the first in Deanna Raybourn's Lady Julia series: Silent in the Grave. I wrote a review of the second book, Silent in the Sanctuary, here. If you like mysteries or Victorian historicals or both, then I highly recommend this wonderful read. From Lady Julia's eccentric family, to the swarthy, mysterious Nicholas Brisbane the plot thickens, twists, turns and thickens again! The historical detail is sumptuous, the characterisations exact and the mystery of who killed Lady Julia's husband will keep you guessing until the end. To say that I met Nicholas Brisbane over my husband's dead body is not entirely accurate. Edward, it should be noted, was still twitching upon the floor. Isn't that a punchy opening? On finishing this book I wanted to read it all over again, to find the clues I had missed and to just luxuriate in the wonderful world Deanna Raybourn creates. I'm doing NaNoWriMo this year. It only dawned on me yesterday that November starts THIS WEEK! I was so sure I had another week to prepare. Eek! Right, time to put the computer away and get my plan of attack sorted. That is a punchy, intriguing opening. Your assessment makes me want to go out and buy the book now. Good luck with Nano, I'll be cheering you on!